Sometimes you just need to take some time out, forget your ‘to do’ list and spend an afternoon reflecting on what’s important in life…..Helmingham Hall Gardens is a perfect place to do this! The gardens are simply stunning and what’s lovely is that there are always different flowers to appreciate depending on what time of year you go. 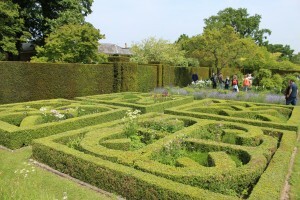 With the many types of gardens to see during your visit; herb, kitchen and wild gardens along with colourful borders creating pretty displays and they all compliment the many lovely features of Helmingham Hall, built in 1510 complete with its own deer park! What’s great about the gardens is that you can take a leisurely walk around and there are many places to just sit and appreciate them. They are also relatively close to each other and near to the hall itself, so you always have lovely views as you wander around exploring. 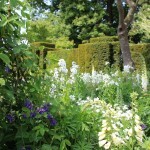 Another wonderful garden to look at! 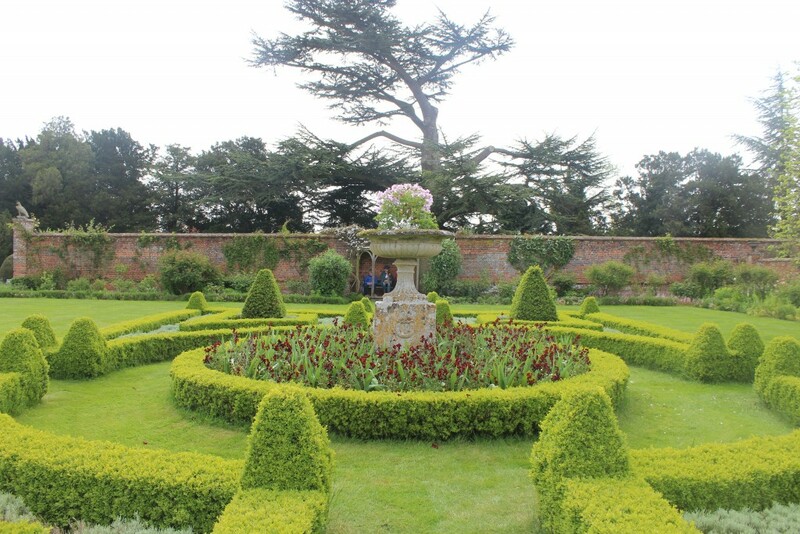 One of the amazing gardens with a bench in the far background….perfect to sit, relax and reflect! On this occasion, I visited the gardens on my own and wouldn’t hesitate to do this again, taking my camera or a book/picnic to enjoy when the sun is shining. It is a really nice place to get away to and have some time to yourself. 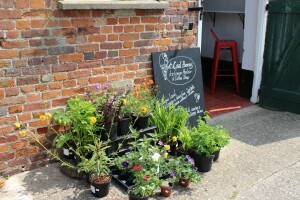 There are a couple of shops in the stable courtyard to browse and a recent addition since my last visit, an Ice Cream Parlour and Coffee Shop. 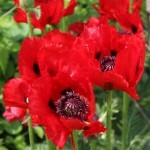 The Coach House Tea Rooms are a short stroll from the courtyard if you are looking for a light lunch or afternoon tea. 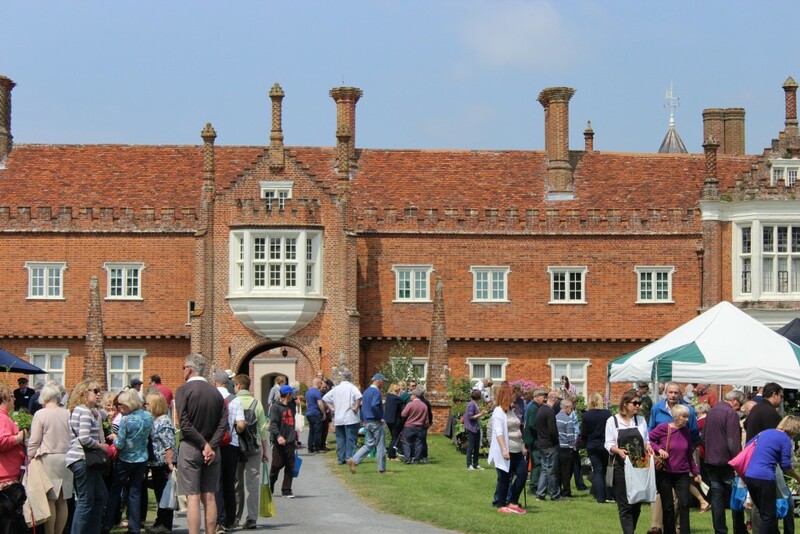 As well as the gardens, Helmingham Hall has a number of events throughout the year offering a great opportunity to pop along with family or friends. 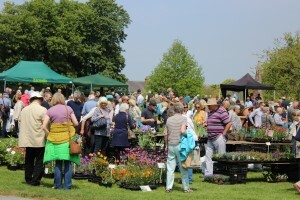 My recent visit was to go to the Spring plant fair and artisan market which appeared to be a very popular choice for many! 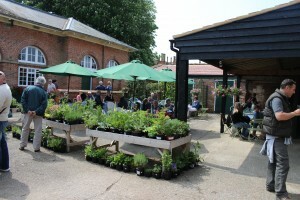 Lots of people were enjoying the opportunity of browsing the various plant stalls in the sunshine choosing unusual plants to buy for their gardens. 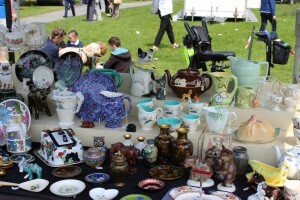 As well as plant exhibitors there were many other stalls; crafts, local produce, homewares and fashion along with plenty of things to eat of course! As you can see from the crowds if you want a quiet day out walking around the gardens then best choose another day! 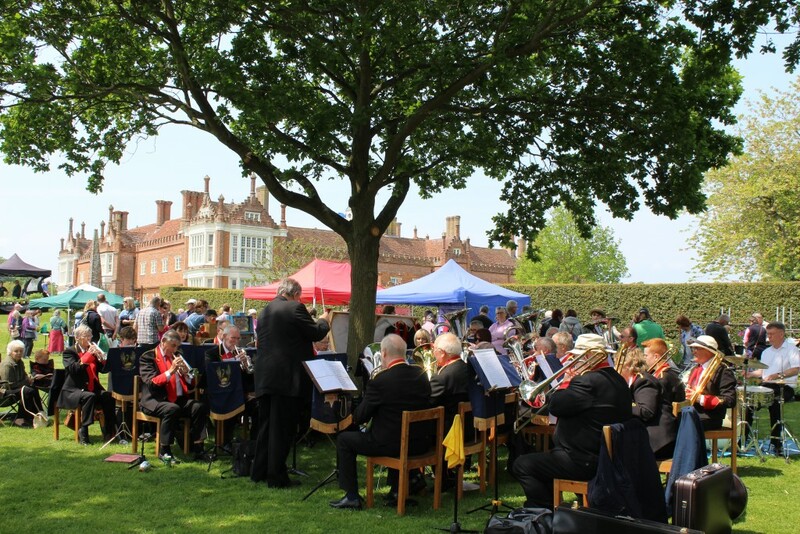 however if you are looking for entertainment whilst you enjoy the gardens it’s just perfect! 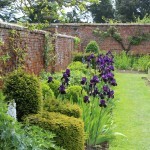 Helmingham Hall is another of Suffolk’s Top 50 and again its easy to see why. I had a wonderful day out made even better by the sunshine! If you are looking to escape somewhere inspiring for a couple of hours to get away from it all or need some ideas to transform your garden it’s ideal! The gardens are suitable for all ages, and even better if you visit on an event day where I’m sure you will find something for all the family to enjoy. 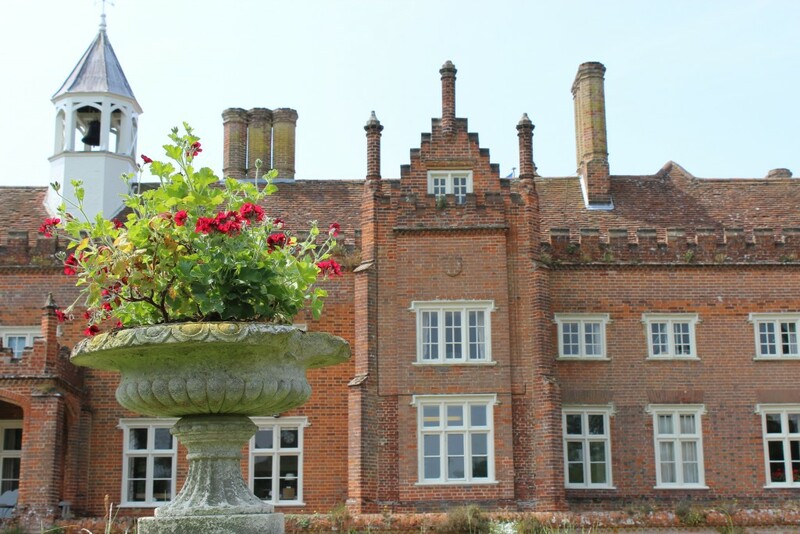 Events at Helmingham Hall for 2016 include; Music in the gardens, Suffolk dog day (a great day out for your four legged friend!) 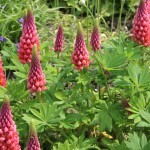 and Festival of classic and sports cars & Autumn plant fair. 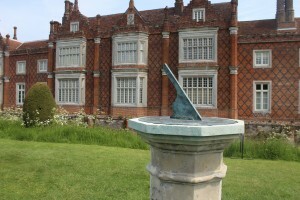 For details of opening times, prices and events click here to visit the Helmingham Hall website.